H'El has come to Earth! A figure from Krypton's past has come to Earth, hoping to revive the dead planet--in place of this one. Superman, Superboy, Supergirl and the Justice League stand ready to fight, but whose side is everyone on? 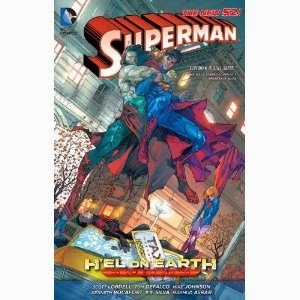 As hero fights against hero, will the Kryptonians be able to defeat H'El, who is their equal in every way? ollects SUPERMAN #13-17, SUPERBOY #14-17 and SUPERGIRL #14-17.